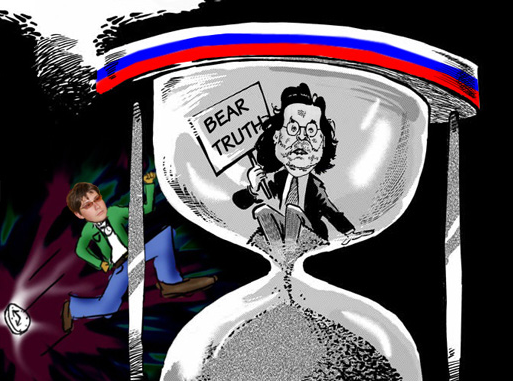 WE ARE BACK, AGAIN – JUST TWO YEARS TO GO BEFORE THE PROFESSION OF JOURNALISM DISAPPEARS, BUT WILL THE RUSSIAN OLIGARCHS GO FIRST? Four years ago almost precisely, on January 12, 2014 – just before the Anglo-American war against Russia began in earnest — we reported that the Moscow School of Management at Skolkovo was publishing what it called a market atlas of the jobs and professions which will be newly needed by the year 2020, and those to be needed no longer. One of the new ones was what the Skolkovo atlas called a cyber-cleaner (кибердворник). 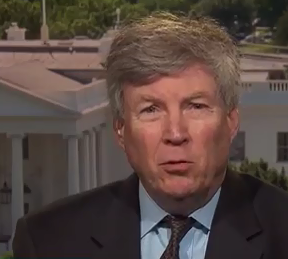 This is a specialist in removing from the internet and all digital data archives whatever information someone pays to have cleaned or deleted entirely, and its substitution with what the specialist is paid to put there – fake news, kompromat, disinformation, PR, advertising, fraud. One of the professions the cyber-cleaners will replace, according to the atlas, is journalism. In the four years since first reported, journalism as readers recognized it has ceased at the New York Times, Washington Post, Financial Times, Guardian, London Times; the rest of the mainstream media in the US and UK; and everything that appears in physical print in Canada and Australia. What used to distinguish their journalism from state or corporate controlled media has disappeared. That’s outside Russia. Inside Russia, for at least a handful of the Skolkovo school’s coordination council – Roman Abramovich, Alexander Abramov, Alexander Voloshin – the elimination of journalists by cyber-cleaners will be none too soon. Anatoly Chubais (pictured below, left) was on the Skolkovo council four years ago; he’s been replaced by his shadow, Leonid Melamed (centre), who has been under house arrest since July 2015 and on trial since last November. Melamed is charged with embezzlement at Rusnano, the state technology holding now directed by Chubais; Chubais testified in court on Melamed’s behalf last November. Another Chubais trustie, whose personal enrichment depended on the breakup and handout of the state electricity utility UES when Chubais was in charge, is also on the Skolkovo council now; he is Valentin Zavadnikov (right). His Skolkovo bio refers to his claim that “from 2001 to 2012 [he] worked at the Council of Federation, where Mr. Zavadnikov has fought for the establishment of a competitive market economy in Russia.” The truer story of how Zavadnikov was forced to resign in order to avoid disclosing the proceeds of his take, er stake in the competitive market economy, his foreign assets. His partnership with Leonid Lebedev — also a runaway senator from the Federation Council with foreign assets to hide — can be found here. Their dossiers are small by comparison with that of Chubais. Because this sanction can’t be retrospective, it is less likely to be aimed at privatization of electricity assets before last year, though continuing share sales and investments in companies Lebedev, Zavadnikov, and Chubais have controlled would be covered. Section 233 is directly aimed also at the new privatization targets for 2017-2019 already announced by the Russian government before the new sanctions law was enacted. The targets include the sale of shares in the state shipping company Sovcomflot; the state rail company and its freight subsidiaries; Russian Post; state owned seaports; Rostelecom; the state diamond miner Alrosa; and the state bank VTB. Chubais and his associates, along with the entire Russian oligarchy, qualify for Section 241 of the new law. Last month there were not less than sixty oligarchs, easily identified for the US Treasury by President Vladimir Putin’s table settings for the annual oligarch Christmas supper. Click to view the guest list here. The new report is required to be completed 180 days after the enactment of the law on August 2, 2017. This deadline falls on Monday, January 29. For the detailed background on how the statute will operate, read this. The risk of US sanctions falling on all the oligarchs is widely appreciated in Moscow; bankers to the oligarchs report the atmosphere as “more than tense”. US lawyers and lobbyists have been making special presentations in Moscow in the hope that fear of who the January 29 report will name will generate a new round of engagements to lobby to keep client names out of the document. Oleg Deripaska, who is exposed by sales of more than $1.6 billion in aluminium to the US, already has a permanent Washington lobbyist, Adam Waldman of the Endeavor Group, though he has failed in most of the missions Deripaska has assigned to him. Read the record. 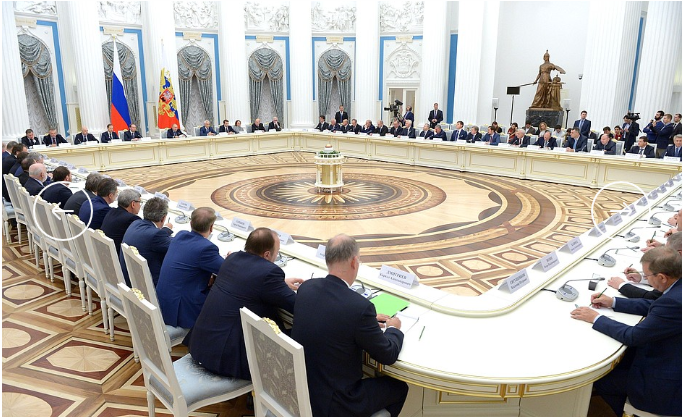 Other oligarchs exposed by their regular attendance at Putin’s table and by the value of their US assets include Roman Abramovich (New York and Colorado real estate, steel plants); Mikhail Prokhorov (real estate, the Nets basketball team and Brooklyn stadium); Dmitry Pumpyansky (steel pipes); Alexander Abramov (steel); and Mikhail Fridman (banking, telecommunications). Reporters tracking the private aircraft carrying Abramovich hint that Abramovich’s closeness to Putin may be outweighed by his closeness to members of President Donald Trump’s family circle. 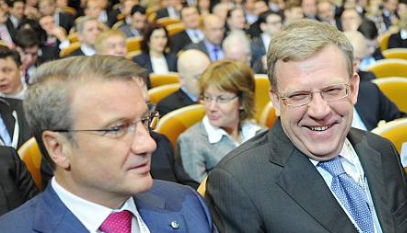 Left, German Gref; right, Alexei Kudrin. Kudrin has repeatedly portrayed himself as the candidate for the Russian prime ministry which Washington and Wall Street support. His latest reform programme requires deep cuts in Russian defence spending. For details, read this. Gref also told the Financial Times he supports Suleiman Kerimov, now under arrest in France for transporting more than €700 million in cash through Nice airport for conversion into real estate and other assets. French prosecutors are still investigating whose cash Kerimov has been accused of laundering. If you believe that, ask yourself the question — will men like these be sanctioned and the media reporters who promote them cleaned or washed up this year, or by 2020? For the answer, a little old-fashioned journalism may go a long way. Read on.